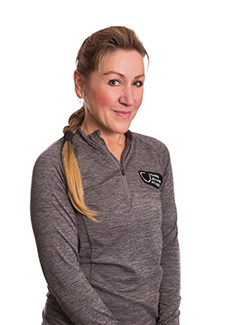 CHRIS JEWKES FITNESS LTD is the Midlands premier personal fitness centre offering highly qualified, specialist trainers to match your personality and fitness needs. Featured below, is a brief introduction from each of the personal fitness trainers who are here to tailor a bespoke fitness programme based on your goals and fitness levels. With experience in the fitness industry for over 20 years, including a 7 year career as an army physical training instructor. 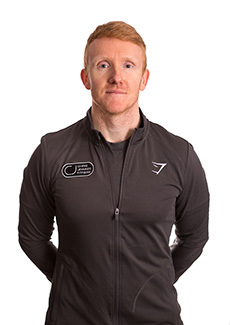 Chris Jewkes operates at the very top level, becoming one of the UK's leading fitness professionals and champions of the industry. Outstanding 6 years in the Royal Marines as a PTI with numerous tours under his belt;Chris Jewkes has the specialist experience and fitness expertise to underpin the Chris Jewkes Fitness personal training concept. Chris has sat on the Board of the Fitness Industry Association for a number of years; as well as running successful businesses, he has always had a ʻhands on approachʼ to fitness training with his one to one successes and fitness challenges. 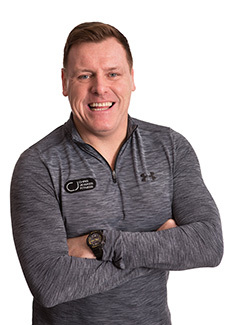 He has positioned himself as an inspiring leader in the industry, and enjoys a great reputation nationally, most notably for his fitness mentoring and bespoke one to one training. His own military, back to basics training has enjoyed a following for over 20 years, and his circuit training and bootcamp classes are well known and well supported, across the Midlands. Chris also trains extreme sports enthusiasts to achieve their individual goals as well as the elite members, he also trains those at grass roots, those that have never worked out before as well as people suffering specific health and weight issues. As well as training and inspiring many clients and friends to achieve outstanding feats of endurance, Chris has undertaken numerous challenges himself such as the Race Across America, The Three Peaks, The West Highland Way (in record time many times), 15 Tough Guys, numerous marathons UK wide and overseas, including the New York Marathon and most recently Mont Blanc, along with countless mountaineering and hill walking challenges. 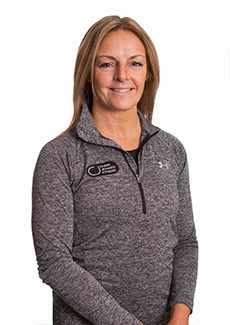 I have been personal training since 2004 and I am constantly adapting and developing my skills and knowledge so as to offer the best possible service and advice. I believe that exercise and fitness should be as varied and enjoyable as possible and I feel that I achieve this by introducing clients to a variety of different training styles allowing a well-rounded development of all the fitness skills: Strength, Speed, Power, Flexibility, Coordination, Stamina, Cardiovascular, Respiratory Endurance, Agility, Accuracy and Balance. Concentrating on your body’s performance will not only make your experience of exercise much healthier, it will also keep you trim and looking in great shape. I strongly believe that ‘personal’ training should be exactly that, personal to your goals, ability, experience and interests. To achieve this I complete a thorough lifestyle consultation with every client, set realistic and achievable goals and continually monitor and record progress. My knowledge + your homework + our commitment = YOUR RESULTS ! Sport and exercise has always been a major part of my life and I believe exercise and being active can help bring self-confidence and over all wellbeing to a person’s life. For the past 3 years I have been a member here at Chris Jewkes and have gained, and received knowledge, help, support, encouragement and the results I’ve been looking for, as well as the fantastic social and fun side it brings to exercise. This has led me to take the steps to turn my hobby into a career and qualify as a personal trainer. Hopefully, passing on my enthusiasm and knowledge to other people. My passion for fitness has never faded over the years and I believe to be truly healthy you need a perfect balance between diet, exercise and relaxation. As a personal trainer I aim to guide you to achieve this balance. I will design a diet and exercise plan specifically for your tastes and lifestyle. Most importantly exercise should be FUN!! You will not achieve your goal if you are not enjoying your programme. As a qualified gym, boxercise, exercise to music and Pilates instructor can make your workouts varied and creative. I've had many years’ experience helping pre and post pregnancy ladies maintaining and coming back to fitness at this most crucial time in their life’s. I love helping clients meet their goals. With over 15 years in the Health and Fitness Industry, I remain keen to further my knowledge and experience and pass this onto my clients, so please feel free to approach me for advice about health issues or any enquiries regarding personal training or massage. In my own time I continue to pursue and enjoy mountain biking, gym work and other health related issues. My love for Fitness and Motivating people has been a passion for years. 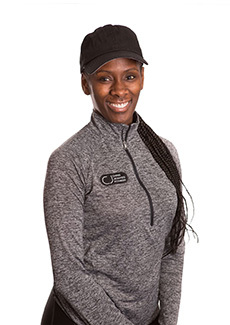 I have 10 years experience in Health and Fitness ranging from Aerobic Classes, Cardiovascular Training, Weight Lifting, Sport Activities with children to Healthy Lifestyle and Nutritional Advice. Being a mum of three, I fully understand the time constraints that daily life can place on your regular exercise routine, but with the right exercise program and careful planning you can achieve your goals. 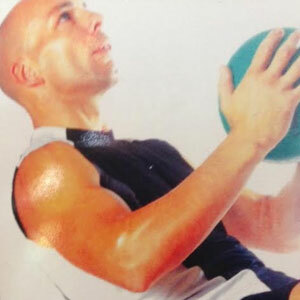 I have worked as a Fitness Instructor, Personal Trainer and coached various Sport activities to children. I love seeing the improvement’s in people’s lives and the positive effects it has on them and their fitness. I offer a down to earth approach Personal Training client’s to achieve goals. Whether you want to lose weight, tone, build muscle or just get back into shape after childbirth my bespoke Personal Training is for you. I believe that exercise should be a fun positive experience. Exercising may not be pleasurable to you, but that doesn’t mean you have to forfeit the great benefits of Personal Training. Chris is a keen and talented hockey player, having represented at an elite level including the England u18 & u21 teams and playing several years within the Australian and English Premier League’s. 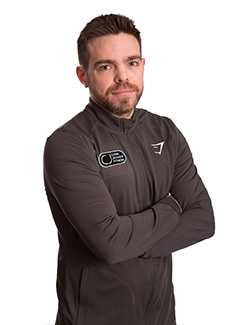 With over 18 years in the sport, Chris knows how important training and nutrition are in reaching your fitness goals, regardless of your ability. 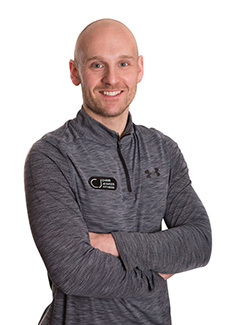 Helping people live a longer, more fulfilling and enjoyable life is what Chris is passionate about and applying his knowledge in exercise and nutrition allows his clients to do just that. 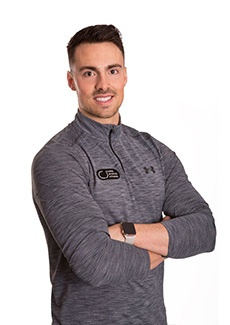 Regardless of your goals and experience, Chris always aims to make you feel comfortable and confident within the gym environment, to keep you motivated and allow you to achieve your desired results. He regularly shares recipes, exercises and advice on his social media, with over 40,000 followers on Instagram (@whenharrymetsalad). Giving an insight on how others can achieve their goals and live a healthier, more active lifestyle has attracted a fantastic following from a varied and diverse audience from around the world. From a young age I have always been very active and into sport. I have competed in the Modern British Pentathlon Association. Furthermore I went on to compete in National Biathlons and Triathlons all over the Country. From starting at such a young age in sport I feel it has given me the mind set to always want to better myself and achieve more in the field of sport. 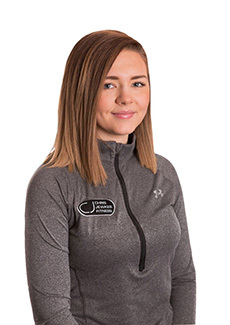 Completing my Degree in Sport and Exercise Science has given me a broad understanding and knowledge of how the body works and can be trained in specific and technical ways. I wish to use this knowledge to help better individuals with their personal goals at a gradual level however also making training fun and creating a healthy mindset for life. I have always believed in making people feel confident about their selves and pushing them towards their goals with a healthy reliable mindset. As a sports person myself I want clients to know me as a friend and not just a trainer. Living a long, healthy and fulfilling life is what I am truly passionate about, I love incorporating different techniques which are fun but highly effective into sessions to keep motivation and spirits high, I have a real love for nutritious home cooked food, always working on different recipes which I can pass onto my family and clients. As a mother of 1, I know the struggles of exercise during pregnancy and postpartum, I enjoy teaching mothers that eating healthy and staying fit and active is still 100% possible and can work with family life. I have a soft and understanding approach to Personal training as I know how daunting a gym environment can be for some people, I love giving people the knowledge and confidence to achieve their goals. Creating a programme that is completely tailor made to a clients needs is a real joy, weather that be mobility, strength, fat loss I give everything I have into each client. I enjoy a variety of training types with HIIT, circuits and yoga being amongst my favourites. Getting your head in the fitness game and keeping it there! Having fallen in love with exercise over 30 years, my career in fitness is never just my job. It’s my passion. In fact helping clients on their own route to total fitness is as bigger buzz, if not bigger than maintaining my own. Something that my clients can well believe and feel in each of their training sessions. Your time with me is all about you. You can expect knowledgeable advice, well planned sessions using years of experience along side up to date and proven training methods, care and most importantly, lots of fun! 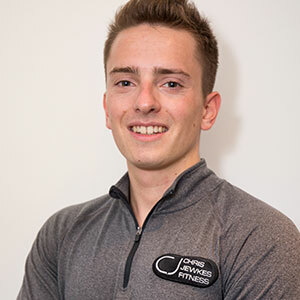 A new career change now see’s me here at Chris Jewkes Fitness and I am very much looking forward to starting my new journey in the health and fitness industry, turning my long-time passion into professional practice. I have always been a keen sportsman, enjoying football, tennis, table tennis, badminton and golf, I also love taking part in outdoor activities such as camping, walking and mountain biking being a few of my personal favourites! Keeping fit as well as good nutrition have always been what my life is centred around and I do believe good health and well-being are paramount in achieving a happy and successful lifestyle. Mental Health is just as important as physical fitness, exercise creates this positive energy and self-esteem that we all need. My aim is to help create a balance of enjoyment and hard work, so that my clients can leave every time feeling great and looking forward to their next session! Being part of a team is something that I have always relished, therefore together with my knowledge, motivation and passion and your commitment, I’m sure my clients will achieve their goals and get the results they desire.